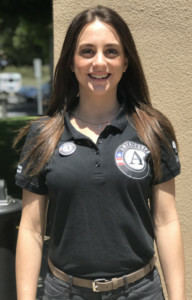 Bio: Britney served an AmeriCorps VIP term with the United Way of Ventura County from January – July 2018. She was a graduate of Oxnard Community College and transferred to the University of California at Berkeley, where she received a Bachelor of Arts in social welfare. Before her AmeriCorps term, she worked with various non-profits that served the homeless, youth, and international medicine. 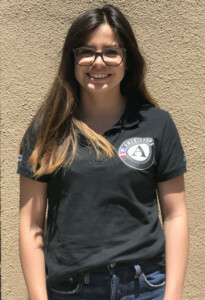 Through those experiences, she has come to realize her passion for macro issues and community development, which ultimately led her to do an AmeriCorps term with the United Way. 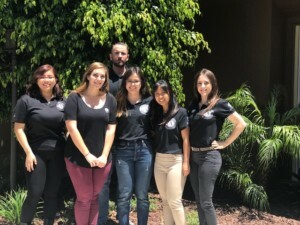 During her AmeriCorps term, she coordinated the Stuff the Bus campaign, which brought together local businesses in support of low-income students in Ventura County. She also volunteered for and engaged other volunteers in the Volunteer Income Tax Assistance program and Ventura County’s Homeless Count. These experiences allowed her to work closely with vulnerable communities and to learn about corporations and philanthropy. After AmeriCorps, Britney will be attending a Masters of Social Work program at California State University San Marcos. AmeriCorps allowed her to learn more about the communities she would like to one day serve as a social worker. 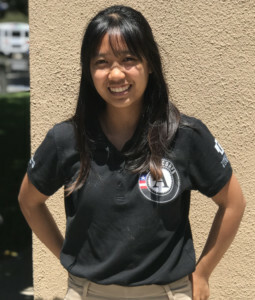 Her service through AmeriCorps has also given her the confidence to achieve goals she never even thought were possible. Bio: Rachael Hill graduated from Arizona State University with her Bachelor’s degree in Psychology. 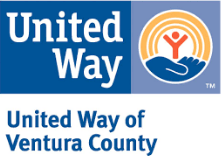 She has spent her service term at the United Way of Ventura. In the future, she plans to become a Doctor of Osteopathic Medicine. Serving with AmeriCorps has allowed Rachael to get involved in her community. This has opened her knowledge to see pertinent, local issues. She plans to take this knowledge and work it into her future goals by spreading resources she has come across in her term of service to people in need. After completing medical school, she plans to stay active with her local non-profits. Who knows, maybe one day we will see her serving on one of their boards! Bio: During his AmeriCorps VIP term, Brian served at the Boys & Girls Club of Moorpark. 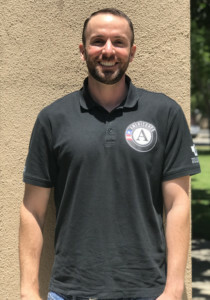 He came to AmeriCorps after interning at the United Way of Ventura. After serving his term, he will be completing his double MBA and will work for United States Navy. Brian is most proud of the food drive project he initiated as well as participating in the Ojai Restoration Project. Bio: Jessica is a Xicana raised in Oxnard, CA. She completed her undergraduate studies at California State University, Los Angeles (CSULA) with a B.S. in Criminal Justice. As an undergraduate, she interned with the Los Angeles Police Department Olympic Division as a civic engagement researcher. Her research focused on understanding Olympic communities’ perspective on burglary from motor vehicles (BFMV) and provided solutions to decrease and educate Olympic communities on strategies to reduce BFMV crimes. Jessica then went on to intern at the Children Law Center of California under the AB-12 unit. Here she focused on providing services to foster youth aging out of the system. Interning with AB-12 youth increased her passion towards advocating for both foster and at-risk youth. 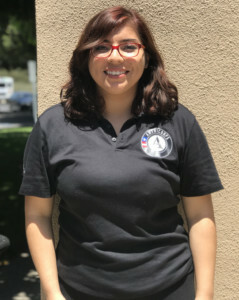 After graduating from CSULA, she served as an AmeriCorps VIP member at the Cabrillo Economic Development Corporation under the Resident Community Service department. Here she focused on developing activities through a community building approach that helped increase resident engagement and leadership. Some of her major projects during her term were coordinating Toys 4 Tots, Rodney Fernandes Leadership Scholarship, and organization the installation of “Unity is Community, Unidad es Communidad” community mural. She also helped defray the cost of homework clubs and special events by requesting donations. In addition, she helped with new volunteer orientations, recruitment and administrative work, as well as mentoring and tutoring youth throughout established homework clubs. Jessica plans to pursue a dual degree of a Master of Social Welfare and Master of Public Administration. She is dedicated to improving the lives of marginalized populations and providing evidence-based interventions to reduce the number of marginalized youth introduced to the juvenile justice system. Her ultimate goal is to help at-risk youth overcome generational trauma and social inequalities by diminishing institutional racism and increasing economic opportunity in marginalized communities. 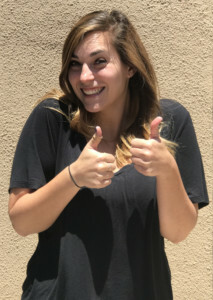 Bio: In September 2017, Danielle started her year of service with AmeriCorps, working alongside the great employees at the Boys & Girls Club of Greater Ventura — a youth organization she has had the privilege to be involved with for over two and a half years. With an Associate’s Degree in Social and Behavioral Sciences from Ventura Community College, and a focus of study in child development, Danielle has always been passionate about helping her community’s youth. Danielle’s decision to commit a year of her life to the Volunteer Infrastructure Program was inspired by her desire to grow professionally, and to learn the “behind the scenes” aspect of the nonprofit field. When asked about a project she is most proud of being a part of, two events jumped to her mind. The first was a Global Youth Service Project the teens at BGClub’s Oak View site put on. The Project involved cleaning up and beautifying a two mile stretch of bike trail that ran behind their Club building, as well as baking dog treats for their local humane society. The second was the Specialized Bikes’ Youth Bicycle Build, in which Specialized Bikes donated 200 bicycles to the Boys & Girls Club of Greater Ventura, underprivileged youth, and those in the community affected by the Thomas Fire. An entire morning was spent building all 200 bikes — with over 55 community volunteers helping out, and over half of the bicycles being distributed that evening after a safety class was held. Following her term of service, Danielle will be taking over as the Director of Operations for the Boys & Girls Club of Greater Ventura, where she currently serves. She will also be continuing her education, looking into a Bachelor’s and Master’s Program in Art Therapy. Bio: Reyna Hernandez graduated from California Lutheran University with a Bachelor of Arts degree in Sociology and a minor in Psychology. After graduating, she knew she wanted to help people and improve communities. Reyna saw a term of service as an AmeriCorps VIP Fellow with Lutheran Social Services (LSS) as an opportunity to do that. During her term, Reyna helped run 5 volunteer programs, keeping track of over 700 volunteers. She implemented a volunteer hour tracking system for the meal program that the staff and volunteers are both satisfied with. Reyna’s service as an AmeriCorps fellow has inspired her to continue working in the nonprofit sector, helping people, and improving communities.